Well! We have completed all 9 blocks for this quilt. I think this quilt going to be very stunning, once completed. I have taken 9 of my favourite blocks from Sue Garman’s “Friends of Baltimore” and I am going to put them together using the setting from “Baltimore Squared”. I cannot wait to start working on the stars for the cornerstones and the swags on the outer border. It’s all about the journey. This is the third time I have made this block. The first one was for the original quilt. Ruth Quinn from Stitching Impressions did the breathtaking machine quilting. Not only did Ruth quilt my Friends of Baltimore, Ruth also quilted Darlene’s Friends of Baltimore, which won a ribbon at the AQS show in Paducah. Congratulations to both Ruth and Darlene! See more here. This block looks difficult, but I assure you it is not! Imagine how impressed your quilting friends will be when you walk into your next Sit and Stitch session working on this block. If you notice in the photos below, steady progress is made by placing one piece at a time. Trust me that is all there is to it. Where does one start? Well, this seemed the logical place to start. So the next piece to be glued in place is a shape that I call “dicey” because of the deep curve. When I see a shape like this, I actually say out loud “hmmmm…dicey”. Here is a trick that will turn this dicey shape into a doable shape. I use this technique whenever I can. Simply cut the leaf away from the stem. Now you have 2 easy to prep pieces. So, when I finish prepping a piece, I take the freezer paper template out and place it on the top of the fabric piece, shiny side up. Then I trace the unprepped seam allowance with a marking pencil. This is a step I never miss if I want to keep my sanity. I want to keep my sanity. The lines that I draw become a valuable guide for where the next piece should be placed. Next I just started filling in all of the flowers that I could. I started to have an idea for the basket. As I mentioned this is the third time I am making this block, so I wanted to try something a little different for the top of the basket, instead of the braid. You can see how I made the basket here for the first block here. I traced the top section as a complete piece onto the shiny side of the freezer paper, then prepped it in the usual way. I am so pleased with the results:) Now I can start to fill in the rest of the basket. Another beautiful block!! I can never thank you enough for sharing the information you share with us. It is simply a blessing for so many. I love the step by step and easy written instructions. Thank you a million times. This block is exquisite. I am glad you enjoy the process. Thanks for generously sharing your tips. 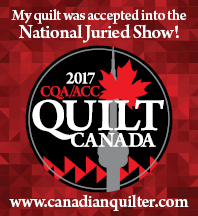 I followed your link to the award-winning quilt. Very nice! Wow – fabulous as ever.